A rich cultural history is behind the development of the wine industry in northern Sonoma County, California. 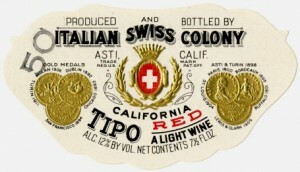 In the late 1800s, a collection of Italians and a few Swiss were lured from San Francisco to the north end of the Alexander Valley where an Italian businessman was forming a company he hoped would develop a thriving community that revolved around growing wine grapes. He also hoped to provide quality work for Italian immigrants who had few viable options in the city. 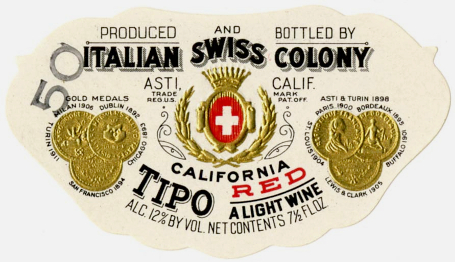 What soon became known as the Italian Swiss Colony was born in a tiny town this community named Asti, after a small town in Piedmont, Italy famous for its wine. In 1886, young Edoardo Seghesio left his native Piedmont for the Italian Swiss Colony in Asti. With his family wine background, he soon rose to the rank of winemaker, married his manager’s daughter, and in 1895 bought a home nearby. On the property’s 56 acres of what Edoardo anticipated would become prime vineyard, he planted Zinfandel and named the vineyard Home Ranch. Zinfandel became the Seghesio family’s heritage and to this day, Home Ranch is one of Seghesio’s most prized vineyards. 15 years later, Edoardo planted a true Tuscan-styled field blend at Chianti Station (the railroad stop just south of Asti) so that visiting Italians would experience a landscape similar to their native land. This vineyard too continues to yield exceptional Sangiovese to this day. Edoardo, the patriarch of the legendary Seghesio wine family, passed away a within a year after prohibition ended, leaving his wife and sons to run the business. In 1949 a second facility was added in Healdsburg, positioning Seghesio for production of the bulk of red wine made in Sonoma County for years to come. In addition to a barrel cellar, the Healdsburg building houses the current tasting room and private dining rooms. In the mid-1990s, fourth-generation family winemaker Ted Seghesio and his cousin Peter reduced production in order to focus on wine made exclusively from estate-owned and farmed vineyards, including those first planted by Edoardo in the legendary Home Ranch and Chianti Station vineyards. Though Edoardo could never have envisioned that his family’s legacy would be celebrated by Sojourn cyclists during their Wine Country bike tours, he would undoubtedly approve. During our exclusive evening inside Seghesio’s Healdsburg winery, Sojourn guests tour the facility and enjoy a selection of house-cured meats, fine cheese, and olives while sampling a selection of wines in the barrel cellar. A family-style dinner paired with wine follows – just as Edoardo and his family might have enjoyed some 85 years ago. Wine Spectator’s Semi-Annual Insider Report just highlighted 800 of the world’s top wines with California nabbing 127 of those spots. Five of Seghesio’s prized Zinfandel rated above 90 points each with, you guessed it, the Alexander Valley Home Ranch (2012) topping out at 94 points. Salute!